I visited The Washington Club last weekend and tried to get some photos while I was there but most of them didn’t turn out great. There was only one I was truly happy with, which I used on Monday’s post, so today I’m using my second choice and having a bit of fun with it. 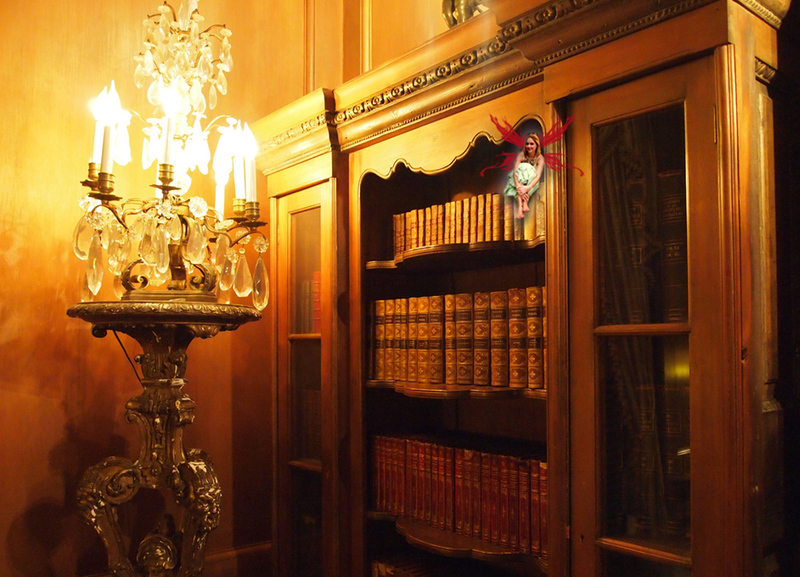 I just thought that the library wasn’t cozy enough, and they were obviously in need of…that special bit of magic. I’ve also downloaded a bunch of new brushes that let me go overboard in the wings department. What can I say, I see magic everywhere! Especially on bookshelves.